Happy Holidays! Here is a gift. 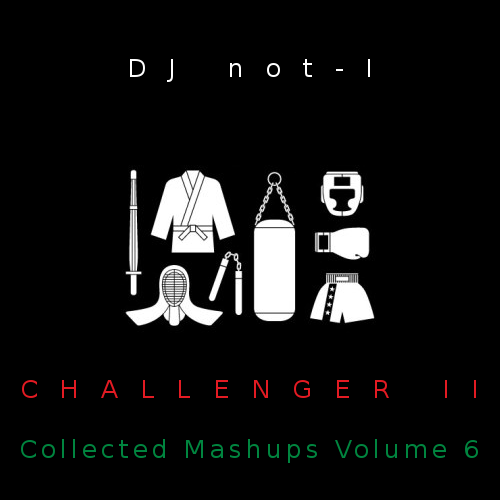 Challenger II features all of the mashups I made in 2011, most of them for various challenges, plus three bonus tracks. Many of them have never been "officially" released. Now they are here. Here they are. Enjoy! Produced by DJ not-I @ Mexikotrax, 2011. Compiled with additonal production in 2014. Do you have another download link? This one takes you to a MediaFire page that says Permission Denied for getting "Smells Like Teen Spirit" by Nirvana. Thanks and keep up the Mashups I enjoy them a lot. Sorry for the late reply. Try this one: http://www74.zippyshare.com/v/k7qy3lhE/file.html Thanks for your encouragement.